Investigators at the University of Exeter Medical School have recently published data that combines sequence information with measures of gene regulation in schizophrenia patients and matched controls in order to better understand genetic variants and casual gene function in the disease pathogenesis. The findings from the study—An integrated genetic-epigenetic analysis of schizophrenia: evidence for co-localization of genetic associations and differential DNA methylation—were recently published in Genome Biology. Schizophrenia is an inherited, neuropsychiatric disorder characterized by episodes of psychosis and altered brain function. 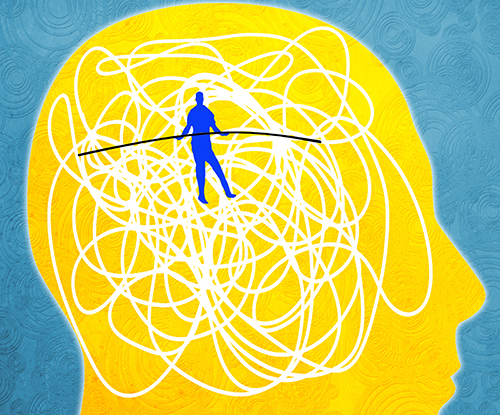 Despite previous research that successfully identified genetic variants associated with schizophrenia, scientists remain uncertain about which genes cause the condition and how their function is regulated. The current study obtained blood samples from nearly 2,000 individuals in order to clarify which specific genes are actually affected by the genetic variants associated with schizophrenia and potentially provide a blueprint for researchers to undertake similar analyses for other complex diseases. The team focused on both the underlying genetic sequence and DNA methylation—an epigenetic mark that regulates both gene expression and function. By profiling genetic and regulatory variation in the same samples, the group found that many of the genetic variants previously found to be associated with schizophrenia have potential effects on gene regulation. Additionally, the research team identified epigenetic changes in 26 of 105 regions in the genome previously implicated in schizophrenia, prioritizing specific genes for further functional studies and as potential targets for novel treatments.